My daughter wanted to get Jasmine some scrubs for Christmas. She is my son’s boarder and she went to school with my grandson. We didn’t see much of anything so I volunteered to make her something. 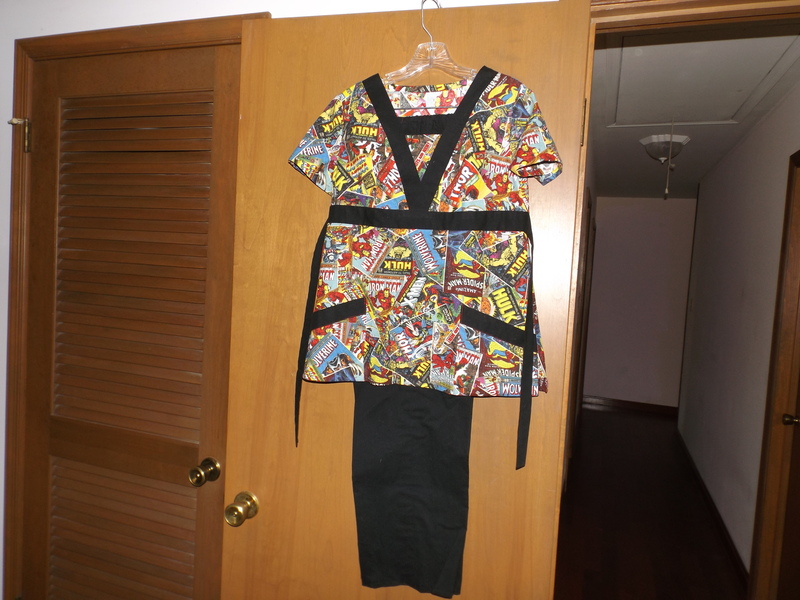 The fabric we found is Marvel cartoon characters which she loves. There were several interesting fabrics at the store. She’s a nice person and I would be happy to make her some more. This isn’t much of a post, but I’m still knitting a sweater for my daughter! My Nativity is on display. The tree can wait. Monday was ‘Christmas Organizational Day’. My daughter came over in the morning. We got out our phones and notebooks. Even though we can use our phones to keep track of everything, there is something about having a ‘notebook-that-tells-me-when-to-breathe’ to leaf through. Our sons just look at us and roll their eyes. We sat at my big old kitchen table(now my son’s) to hash things out and plan our day. We decided on Towson, then Parkville, to shop this year. Three stores were practically next to each other and the other two were close. After a pretty successful shopping experience, we decided to get some lunch. 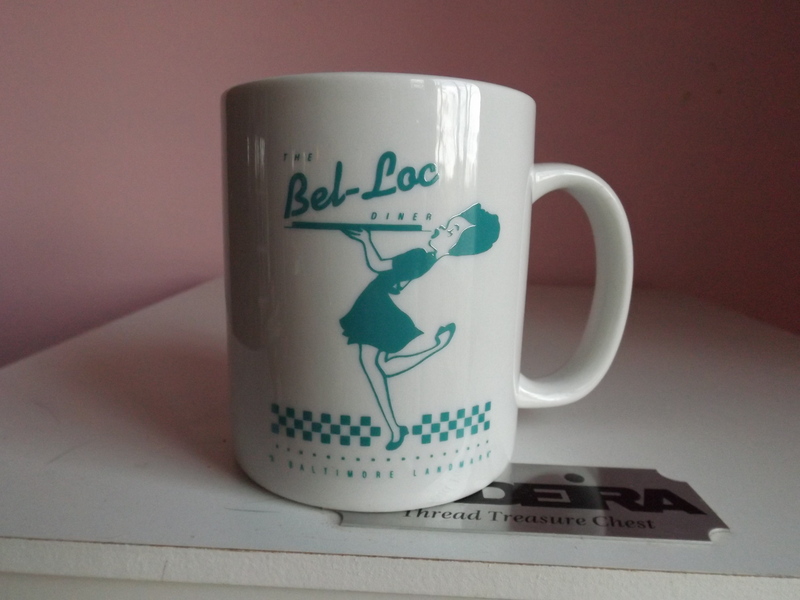 We were only a few blocks from the Bel-Loc Diner. We hadn’t been for a couple of years, so we were ready for some good old diner food. We were not disappointed. They’ve had the same menu for a good fifty years. I would imagine that some items have been added over the years and some have been removed, and, of course, prices have changed, but does that really matter? Jenn got a fried ham and cheese sandwich and I got an egg salad sandwich. Both came with a pile and ruffled potato chips and a pickle spear. And the coffee was absolutely Perfect!